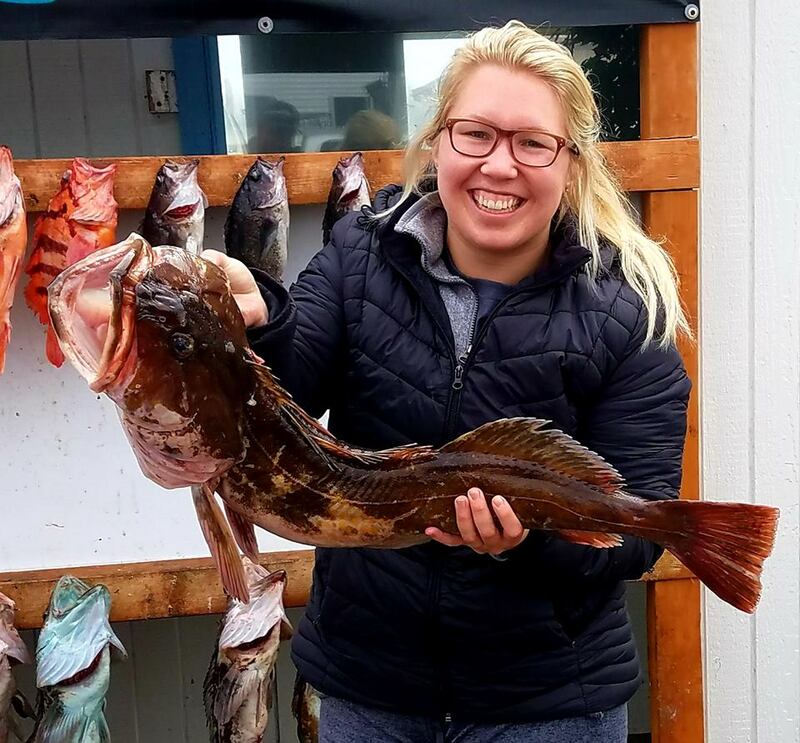 Once the wind settled down it’s been “game-on” for the lingcod and rockfish. 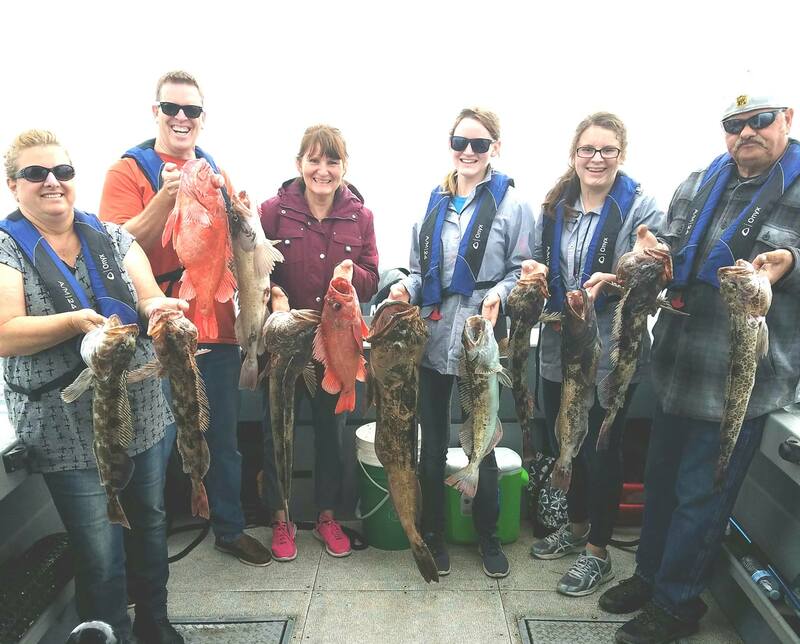 We’re fishing in deeper water which yields larger rockfish as seen in our photos below. 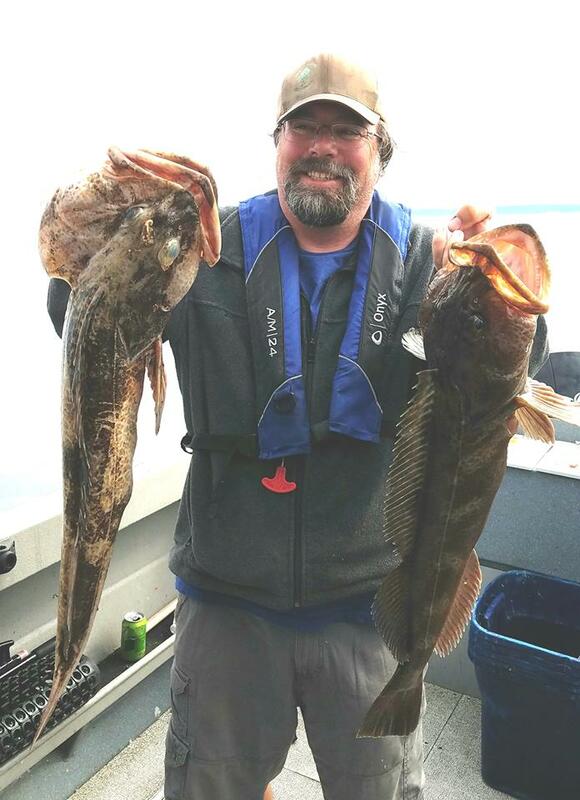 Captain Curt Shoults does a great job of finding the lunkers and keeping customer in the fish. 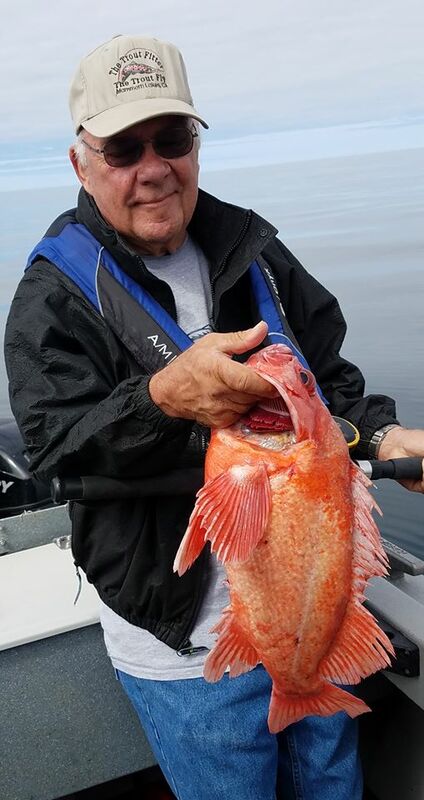 No doubt he is the “king of lings” around Charleston. 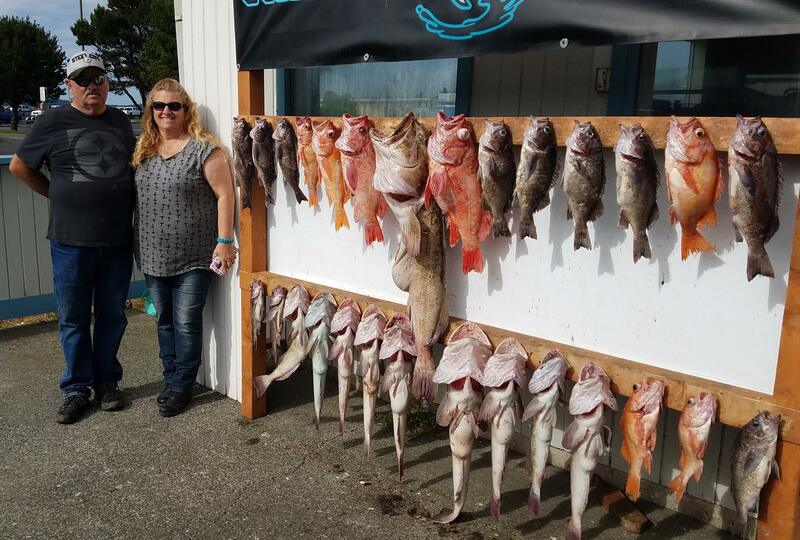 Charter fishing in Coos Bay the month of July was a tough one due to high winds kicking up large wind waves, which resulted in several cancellations. The hot weather in the valley mixing with the cool air on the coast caused the high winds. 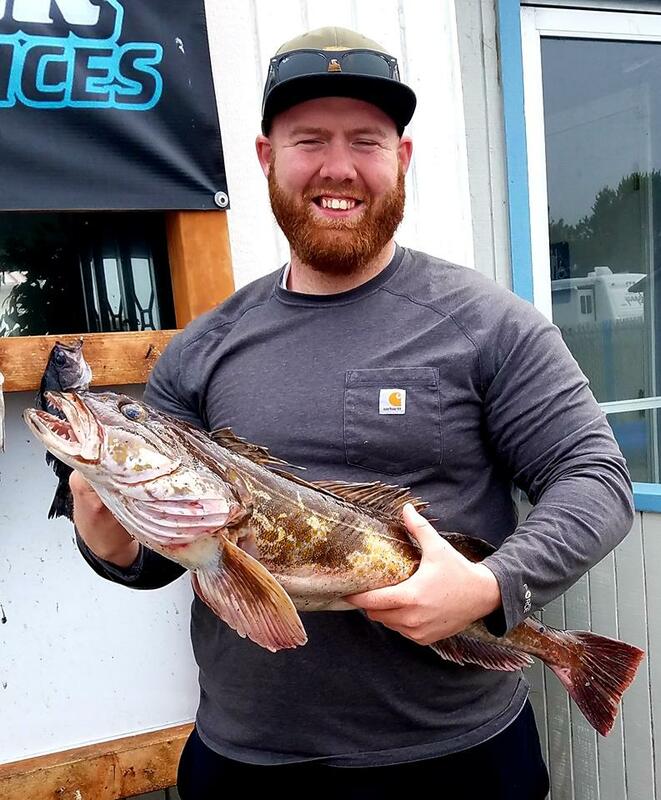 All Coos Bay fishing charters were faced with the same issue, but things have settled down and we’re back at it with boat limits and happy customers. Really fast trip this morning, one of my quickest ever. We limited 6 people in just 28 minutes. 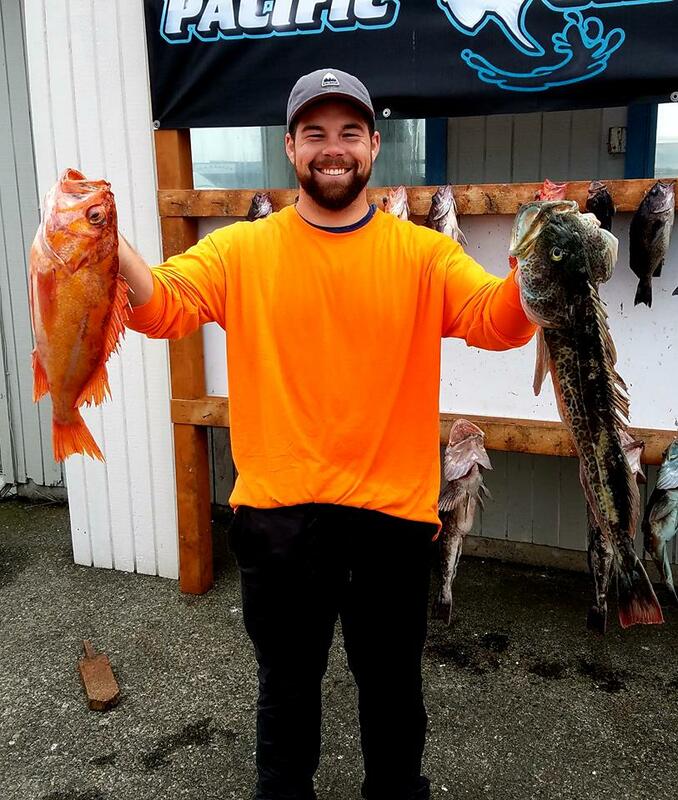 Full limits of Lingcod and rockfish, good variety today we caught Tiger, Vermillion, Yellowtail, Rosethorn, Canary, China, Quillback and Deacon rockfish. 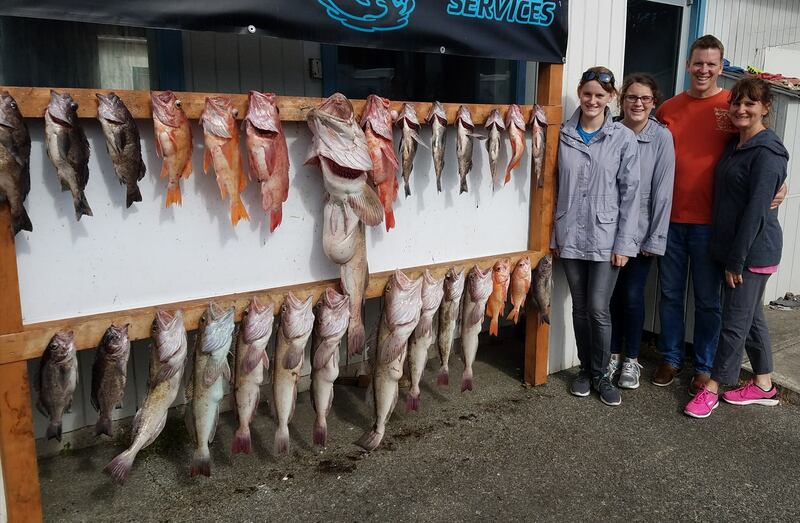 Afternoon trip was a huge success, we limited on Lingcod and rockfish for the boat and everyone had a blast. 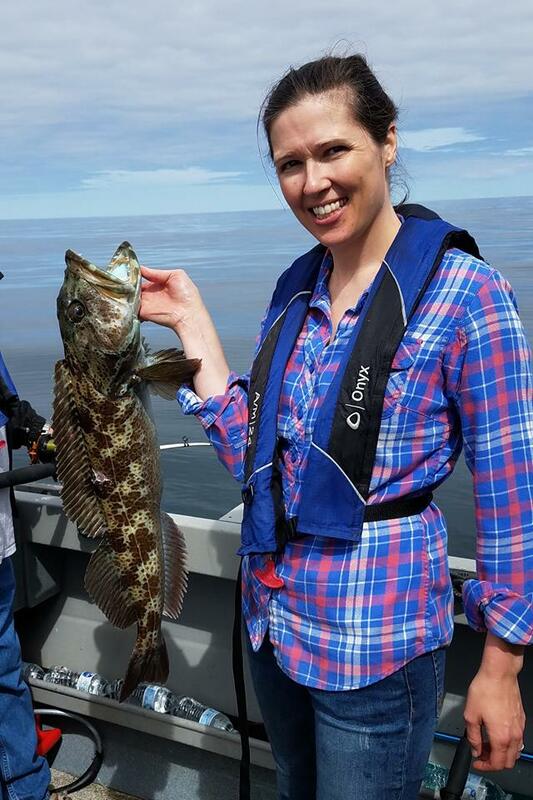 Caught a nice Cabezon and 2 nice Quillbacks. 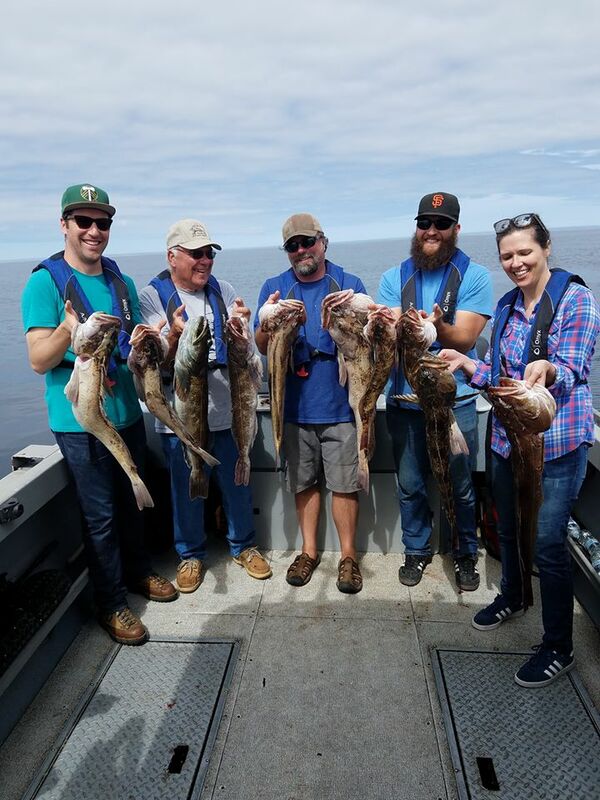 We filled the boat with limits of Lingcod and rockfish this morning for our family from Las Vegas, it was a lot of fun and we finished up in just over an hour. 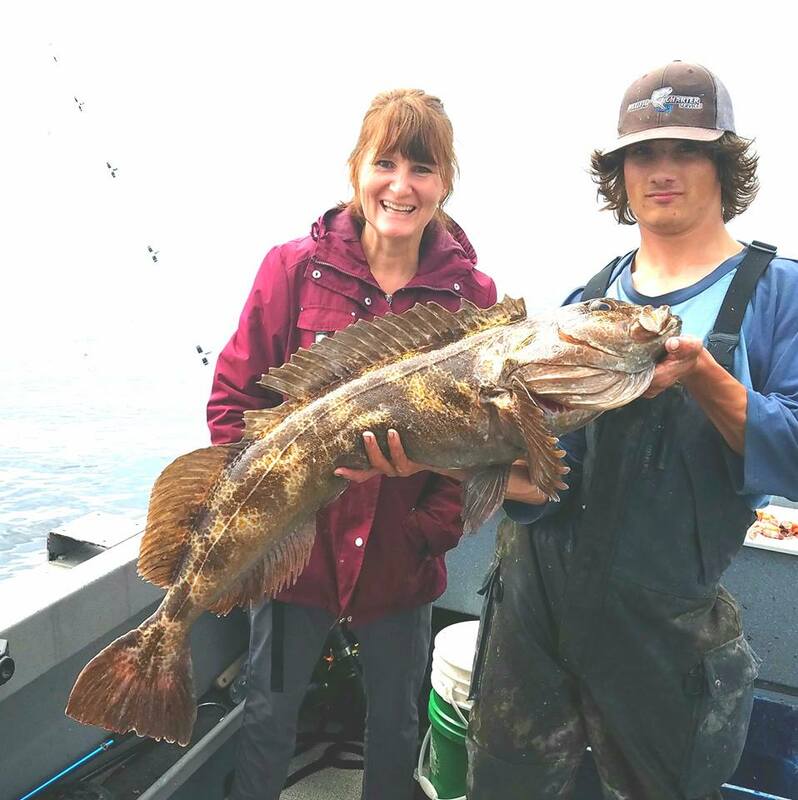 We caught a monster Lingcod this afternoon, 42 1/2 inches long and almost 35 pounds. 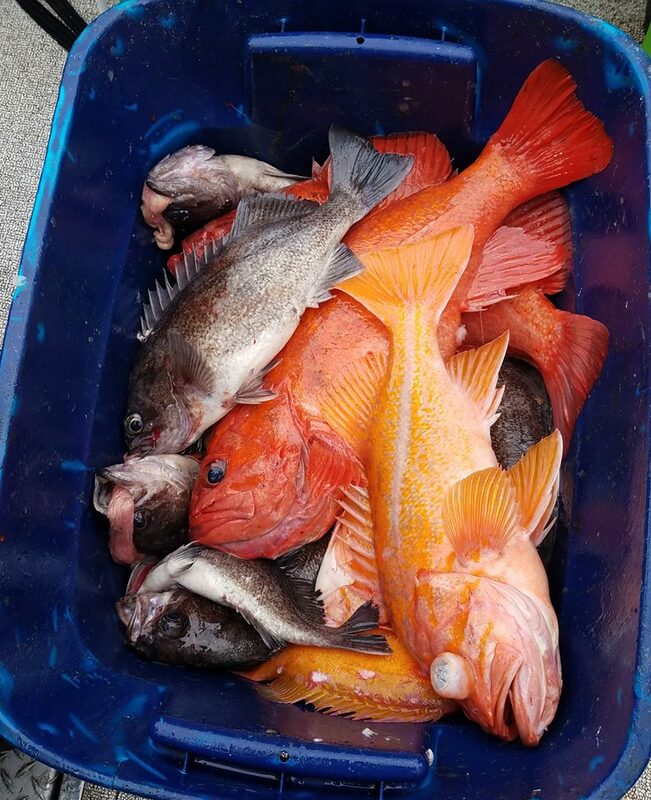 We limited the boat on Lingcod and rockfish with some really nice Vermillion, Canary and Deacon rockfish. 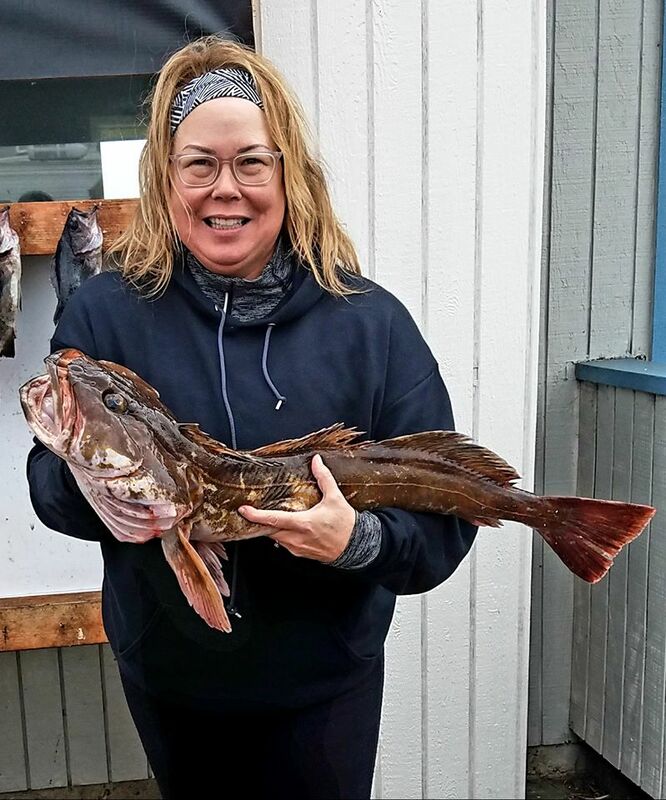 Suzie Bean all the way from Salt Lake City, Utah caught the big Ling.